Barocci (or Baroccio), Federico (b. c. 1526-1535, Urbino; d. 1612, Urbino). Italian painter, whose elegant and expressive style made him one of the leading mannerist painters of central Italy. Barocci was born in Urbino in central Italy into a family of artists, who provided his early training: Battista Franco and Bartolomeo Genga, his uncle. Apart from two trips to Rome early in his career was based there all his life, painting numerous altarpieces there and in the surrounding towns. Barocci acted as the linchpin that joined the great masters of the sixteenth century with the new art, from Carracci to Guido Reni, that was to emerge in the next century. 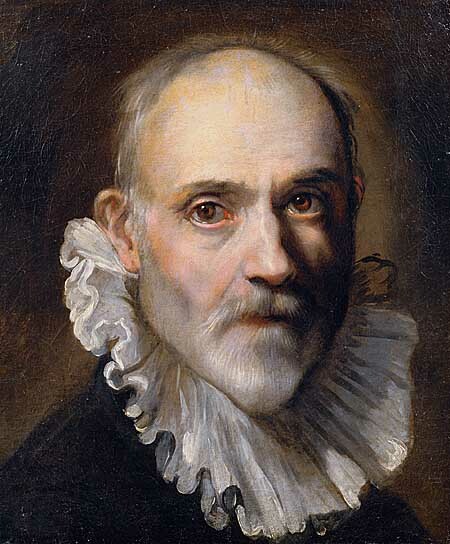 Barocci trained in his native Urbino with its incredible artistic legacy. Around 1550 he visited Rome briefly to discover and study the work of Raphael, also a native of Urbino. He seems to have been particularly conscious of Raphael's contribution to his own style. Barocci was also strongly influenced by the compositions of other painters: Daniele da Volterra, the Venetians, and specifically Italian painter Correggio who by his painterly approach, which de-emphasized the hard outlines of objects. From his earliest work he incorporated Correggio's sunny grace enriched with his personal and warm taste for Venetian colour. He moved beyond the linear style of his teacher Battista Franco around 1563, when he discovered Correggio's sfumato effects, which made the defining lines of forms appear to dissolve into delicately colored, smoky mists. His works consist mainly of religious paintings, which combine the influence of Correggio and Raphael in a highly individual and sensitive manner. In 1560 he went again to Rome, to work on a ceiling fresco for Pope Pius IV's Casino in the Vatican gardens. Barocci's decorations for the Casino used Correggio's sfumato technique, and he became so celebrated that they established his reputation as an up-and-coming young painter. 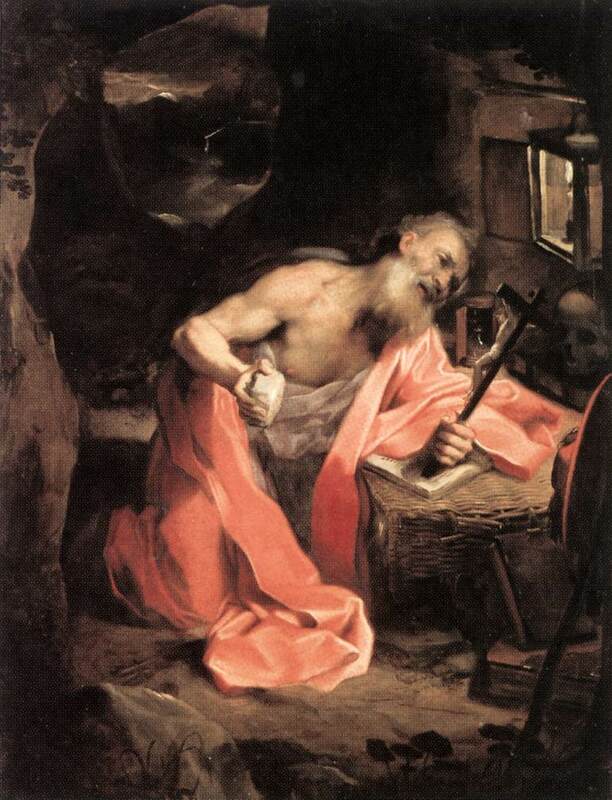 But in 1563, before he had finished the project, Barocci fell ill; he is said to have abandoned his frescos for fear that rivals were trying to poison him, and returned to Urbino for good, working only two hours a day due to constant pain. The hypersensitive temperament this suggests comes out in his work. Barocci began working for the Duke of Urbino, Francesco Maria II della Rovere, who supported him during recurrent illnesses. 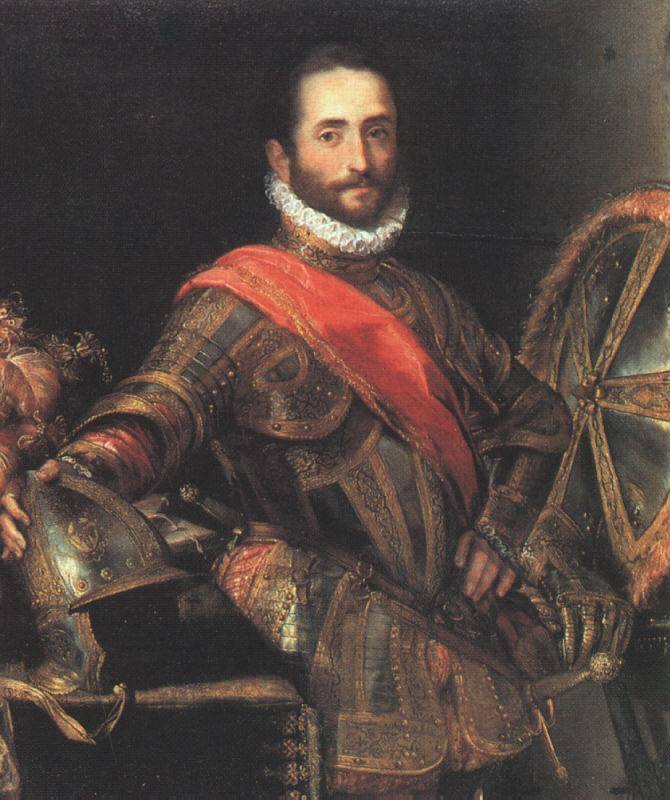 Barocci's Portrait of Francesco Maria II della Rovere (1972, Galleria degli Uffizi, Florence, Italy) shows the patron wearing armor, in the role of a military victor. The rich variety of textures and colors creates an image of wealth and power. The fact that he was not in the centre of the cultural world did not stop Barocci from wielding decisive influence, thanks also to the way that he stuck exactly to the Counter-Reformation's tenets on religious art drawn up at the Council of Trent. His compositions had a simple and direct fluidity and included touching details from everyday life. This did not, however, stop him from attempting more ambitious compositions from time to time, such as The Deposition in Perugia cathedral, 1569; Madonna del Popolo (The Virgin of the People) (Galleria degli Uffizi, Florence, 1576-79); The Martyrdom of St Vitale (Milan, Brera, 1583). In these paintings we can see how he gradually tried to introduce a feeling of wider space. 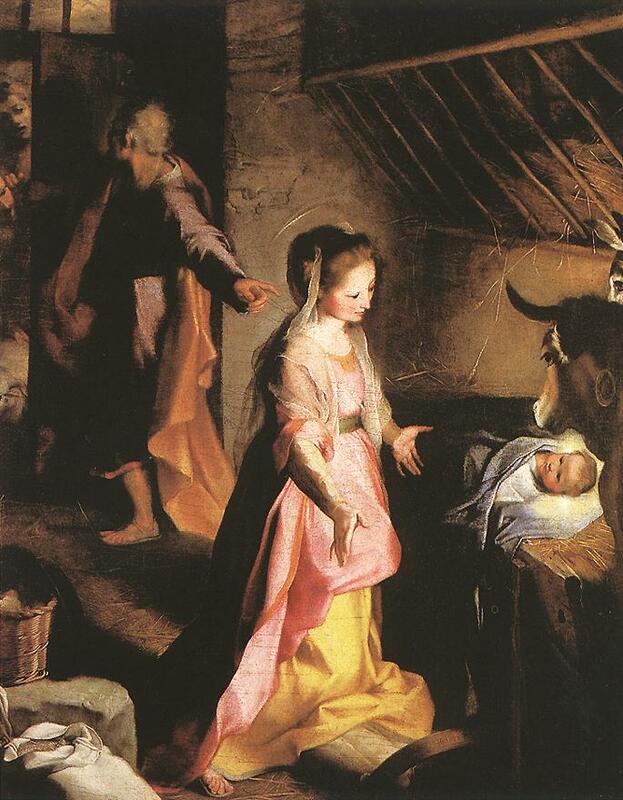 He continued to invent new compositional strategies, incorporating the viewer into his circle of foreground figures in the Madonna del Popolo , showing the Virgin Mary presenting the people to Christ. The gestures and poses are elegant and the colors flicker with highlights and shadings. He arranged the figures in bold diagonals, creating a sense of upward motion and spiritual ecstasy. Barocci contrasted the exalted figures of Mary and Jesus with images of humble, everyday people, such as a beggar and a musician. Barocci drew studies for this and other paintings using sticks of dry color called pastels; he was one of the first artists to use this new medium. The composition's emotional draw had a strong impact on Annibale and Lodovico Carracci and many younger painters. His color harmonies are sharp but subtle and, although his paintings often convey a feeling of intimate tenderness, his handling has great vigor. Despite the fact that he worked away from the main centers of art, his work was much sought after, his patrons including the emperor Rudolf II. And although Barocci constantly claimed to be ill, he had a long and productive career; he was prolific as a draughtsman as well as a painter and was one of the first artists to make extensive use of colored chalks. Barocci is generally considered the greatest and most individual painter of his time in central Italy. Certain features of his work are thoroughly in the Mannerist tradition: his rather indefinite treatment of space, for example, and his delight in fluttering draperies. Mannerist paintings typically depict figures in exaggerated poses in a shallow compositional space intended to heighten the dramatic effect. Barocci painted court portraits and grand religious works, especially altarpieces and Madonna figures. His delicate handling of color and space express a sentimental warmth and devotion that reflects his strong religious piety. His early use of dramatic lighting and other techniques, his directness and freshness made his work a precursor of the Baroque. In his later works, Barocci's spirituality and contemplative nature emerged more clearly, pointing decisively toward the beginnings of the Baroque. He exerted a profound influence on his contemporaries and on many later Baroque artists, especially Flemish painter Rubens. Giovanni Bellori, the pre-eminent biographer of the Baroque age, considered him the finest Italian painter of his period and lamented that he had `languished in Urbino'. Although Bellori certainly exaggerated when he claimed that Barocci always worked from life, the artist did draw numerous preparatory studies. His diligence did not always please his patrons, however, for they often waited on his commissions. In this painting, recent restoration has revealed a lion, sleeping like a large cat in the background; it had been hidden under thick layers of paint that had darkened with age.